This article first appeared in City & Country, The Edge Malaysia Weekly, on August 13, 2018 - August 19, 2018. To many people, Rawang is just another ordinary old town, with the usual mix of buildings, including schools, hospitals, shopping centres and restaurants as well as a railway station that is one of the stops for the KTM Intercity, ETS and KTM Komuter services. However, the history of the town is anything but ordinary. Rawang, founded in 1825, was one of Kuala Lumpur’s earliest satellite towns. Tin mining in Selangor started in Ulu Kelang in 1824 and then expanded northwards to Rawang. In the 1950s, the British established rubber estates in the area and in the late 1970s, oil palm estates were developed by private companies. The town boasts many firsts. It was where the British installed the first electric generator, mainly to support the tin mining industry. Thus, it became the first town to have electric street lights and a railway station with lamps and fans. In 1953, the country’s first cement factory was built in Rawang on one of the mining sites vacated by the tin miners, who were moving westwards towards Batang Berjuntai, now renamed Bestari Jaya. Lafarge Malaysia Bhd’s cement plant in Jalan Kuang is still in operation today. Rawang continued to grow in the 1980s and 1990s. Many light industrial schemes were built, generating job opportunities, and the population swelled. The completion of the North-South Expressway (NSE) in 1994 was a major boost to Rawang and its surroundings as it provided quicker access to Kuala Lumpur. 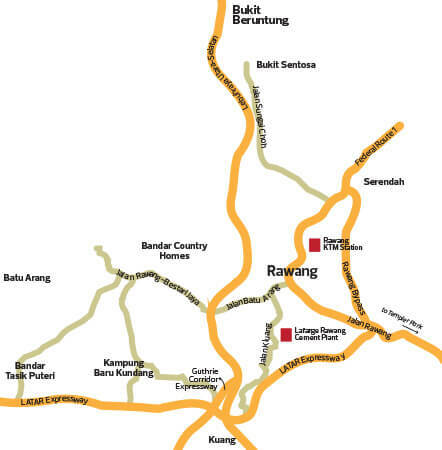 Rawang is bordered on the north by Bukit Beruntung and Bukit Sentosa, and on the west by Bandar Country Homes, Puteri Heights, Saujana Rawang and Batu Arang. Serendah, Templer Park and Sungai Choh are located towards the east, and Kuang, towards the south. Rawang has an estimated population of 180,000 to 199,000. 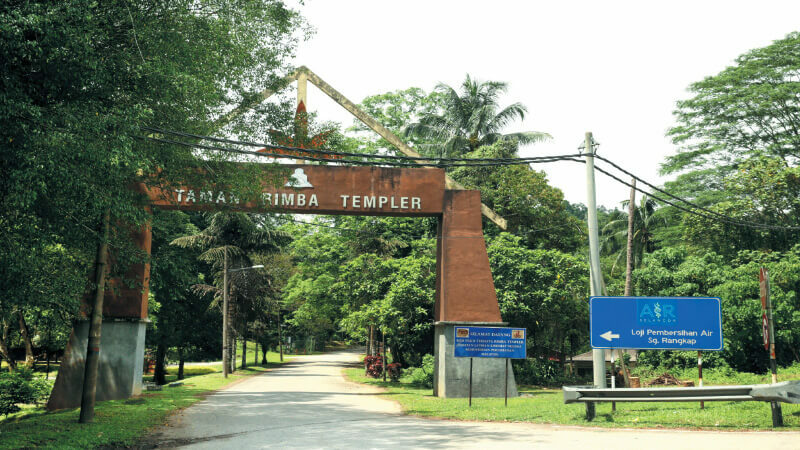 A prominent landmark there is Templer Park, a 1,214ha rainforest reserve that is popular with nature enthusiasts. The Templer Park Rainforest Retreat and Templer Park Country Club are located here as well. Tasik Biru Seri Kundang, a recreational lake in Kampung Melayu Sri Kundang, which was once the largest mining area in Rawang and one of the largest in Selangor, also attracts large crowds. Amenities in Rawang include shopping centres, like AEON and Parkson, and hospitals such as KPJ Rawang Specialist Hospital and Ganesan Medical Centre, apart from primary and secondary schools, commercial shoplots and a central market. A new school — Waldorf International School — is scheduled to open in 2021 on an eight-acre site in Bandar Tasik Puteri. Rawang was once accessible only via Jalan Rawang, which forms part of the Federal Route 1, and Jalan Batu Arang. But the opening of the NSE in 1994, Guthrie Corridor Expressway in 2005 and Kuala Lumpur-Kuala Selangor Expressway (LATAR) in 2011 has made a huge difference. The Rawang Bypass, also known as the Rawang-Serendah Highway, became operational last November. Property experts say the bypass has helped ease traffic congestion in and around Rawang town and shortened travelling time from Rawang to Kuala Lumpur to about 30 minutes. LandServe Sdn Bhd managing director Chen King Hoaw likens the Rawang Bypass to LATAR, which cut short travelling time between Kuala Lumpur, Bandar Tasik Puteri and Kuala Selangor. “With an interchange right at its doorstep, travelling time between Kuala Lumpur and Bandar Tasik Puteri has been reduced to about 30 minutes,” he says. Metro Homes Sdn Bhd director See Kok Loong, meanwhile, feels that overall, the bypass will help increase property values in Rawang . Tang says there are no known plans to connect the light rail transit or mass rapid transit lines to Rawang, which is currently only serviced by KTM. The Selangor government, he says, needs to come up with a proper plan for the development of the northern areas, he says. There is still housing demand in Rawang, not only from the locals but also those from Kuala Lumpur, Petaling Jaya, Sungai Choh, Serendah, Ijok, Kuang, Selayang and Sungai Buloh, according to property experts. “The fact that big developers such as Mah Sing Group Bhd, Bandar Raya Developments Bhd (BRDB) and Gamuda Land have moved into the Rawang market is, perhaps, a clear indication that there is good demand for housing there,” says Tang. Buyers from Kuala Lumpur and Petaling Jaya, he notes, purchase properties in Rawang simply because they are unable to afford similar-sized landed properties in those localities. “One can buy a 2-storey terraced house in a nice community with security and good landscaping for about RM500,000 to RM600,000 here. But in Kuala Lumpur and Petaling Jaya, that price range can only get you a 2 to 3-bedroom apartment with a built-up of around 1,000 sq ft or less,” he explains. See concurs and says Rawang property buyers are mainly owner-occupiers, while the most common type of housing being developed is landed. Among the ongoing developments in Rawang are Gamuda Gardens and Kundang Estate by Gamuda, Anggun by Hong Bee Land Sdn Bhd, Emerald East by GuocoLand (Malaysia) Bhd and Bandar Tasik Puteri by Low Yat Group. Others include Tamansari by BRDB, The TWO by DA Land Sdn Bhd, Legend View by Legend View Housing Development Sdn Bhd and Taman Sari Rawang by Pinggir Menteri Sdn Bhd. An upcoming project is Taman Scientex by Scientex Bhd while completed projects include M Residence and M Residence 2 by Mah Sing. Low Yat entered the Rawang market in the 1990s while BRDB, Gamuda and Mah Sing launched projects in the area between 2011 and 2017. LandServe’s Chen says connectivity is one of the catalysts that spurred these developers to venture into Rawang. Another factor is the price of land, which is cheaper than in the Petaling Jaya-Klang corridor and the southern part of the Klang Valley. Property experts say new projects by established developers will transform the environment in Rawang. Chic and modern designs, better landscaping and security and, in some cases, recreational amenities, have set new benchmarks. Property prices in Rawang have increased by 5% to 162% over the past seven years, depending on the location and type of property, Chen reveals. In the primary market, Setia Eco Templer by S P Setia Bhd has developed products ranging from apartments to bungalows. The apartments, with built-ups of 700 to 1,000 sq ft, are selling for RM42,000 to RM220,000, records provided by Tang show. Terraced houses with built-ups of 2,292 to 4,000 sq ft are priced at RM850,000 to RM1.912 million. Semi-detached houses, with built-ups of 2,781 to 3,492 sq ft, are priced at RM1.7 million to RM2 million. Bungalows with built-ups of 4,214 sq ft are going for RM2.8 million. Next month, Mah Sing will be launching the first phase of M Aruna — 2-storey-terraced houses Aster and Basil — with built-ups of 1,666 to 1,826 sq ft and selling prices starting at RM550,000. Meanwhile, on the secondary market, apartments in Taman Tun Teja with built-ups of 678 to 807 sq ft were transacted from RM50,000 to RM85,000 in 2012 and at RM140,000 to RM185,000 in 2017, according to data provided by Tang and Chen. Condominiums in T-Parkland, with a built-up of 1,227 sq ft, were sold for RM410,000 to 470,000 in 2016, and a year later, for between RM432,000 and RM450,000. Townhouses in Taman Bukit Rawang Putra, with a built-up of 947 sq ft, were transacted at between RM160,000 and RM208,000 in 2013. In 2017, a unit was sold for RM250,000. A 2-storey terraced house in Bandar Tasik Puteri with a land area of 1,044 sq ft was sold for RM160,000 in 2012. In 2017, a similar unit fetched RM275,000. In Kota Emerald, 2-storey semi-detached houses with a land area of 3,000 sq ft sold for RM888,000 in 2012, and for RM965,000 in 2017. In Saujana Rawang, 2-storey bungalows with a land area of 3,595 sq ft sold for RM750,000 in 2014, and for RM840,000 in 2017. In the commercial sector, 2-storey shopoffices in Taman Rawang Mutiara with a built-up of 1,400 sq ft transacted for RM450,000 in 2012, and RM600,000 in 2017. In Taman Garing Permai, 3-storey shopoffices with a built-up of 1,647 sq ft fetched RM300,000 in 2012, and RM430,000 in 2017. In the industrial segment, a 1.5-storey terraced factory in Rawang Greatway Industrial Park with a land area of 2,497 sq ft sold for RM450,000 in 2012, and for RM700,000 in 2017. 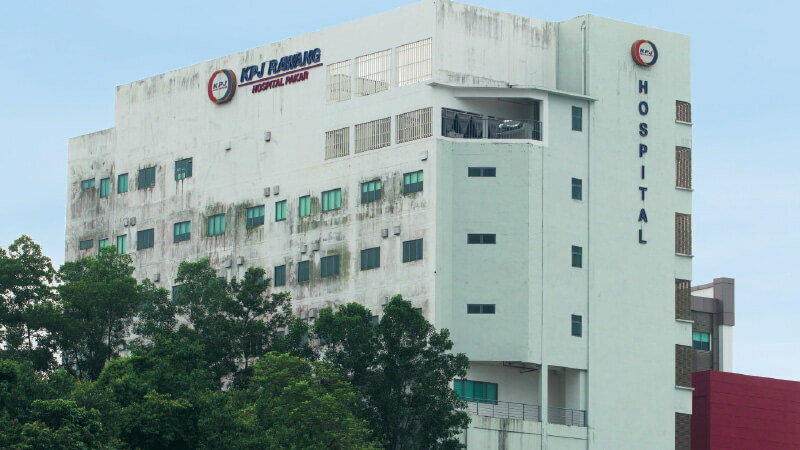 In Kawasan Industri Bukit Rawang Jaya, a 1.5-storey semi-detached factory with a land area of 12,872 sq ft transacted for RM2.3 million in 2013, and for RM2.5 million in 2017. The future prospects of Rawang are good with newer and more modern projects by well-known developers, and improved infrastructure. “The enhanced infrastructure and influx of new projects by major developers will ensure better quality housing in Rawang and this will help to change people’s perception and convince them to consider the area as a viable and more affordable alternative for homes,” says Henry Butcher’s Tang. “As prices of landed and strata homes on the northern fringe of Kuala Lumpur continue to rise, people will look at Rawang for alternatives,” says LandServe’s Chen. “Although Rawang is a little far from the Kuala Lumpur city centre, it is a nice town to reside in, with a slower-paced lifestyle,” says Metro Homes’ See.